For just 50 cents per week, you can live your best fit life and give yourself unlimited Pilates video workouts in the palm of your hand. With an always expanding catalog of videos from Fittbe Pilates creator, Kira Elste, you will always find the perfect session to get you looking and feeling fit and fabulous! Find out why Barre is one of the hottest exercises around! 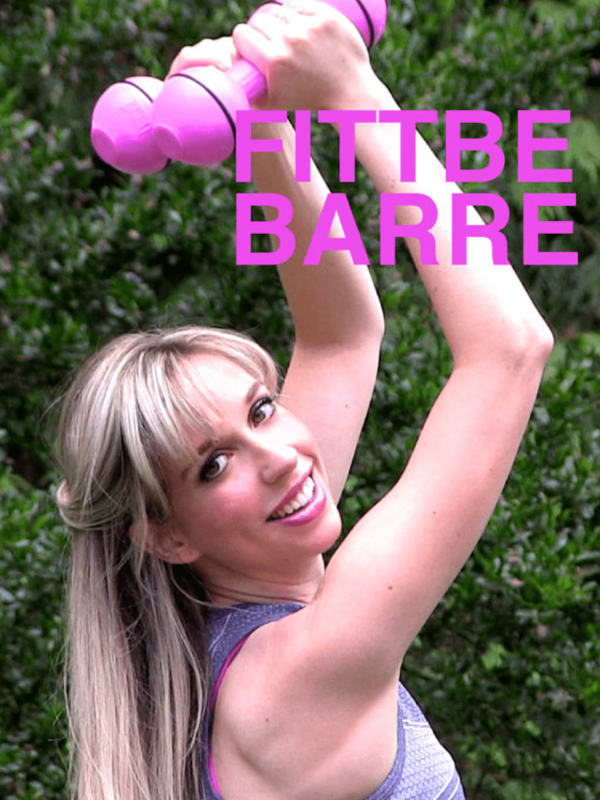 With Fittbe Barre you get expert instruction, with full length video sessions that you can do in your own home! FITTBE Ballet Barre workouts are "intelligent exercise, with proven results, and great cross training for other sports and activities." Inspired by Yoga, with foundations in Pilates, Fittbe Stretching and Warm Ups is your daily "go-to" app for feel good stretches and warm ups! The Warm ups and stretching app is available for iOS. Imagine daily videos to warm up and stretch out your body. You will relieve stress as you warm and lengthen your muscles and calm your mind with some much deserved "you time"
Fittbe is the perfect app system to keep you feeling fit and fabulous. With unlimited daily workouts, you always have new sessions to enjoy. Fittbe Pilates targets your core at every level. It helps you build gorgeous lean muscles and it feels amazing. Look forward to "you time" with Fittbe Pilates - you'll even likely notice yourself standing taller - and if you are looking to tone up those abs, then this is the app for you! Try it complimentary for a full week, then it's just 50 cents per week. Barre is amazing. Hands down - it's a challenging workout which leads to major results. Fittbe Barre and Pilates was the first app in the Fittbe App Suite, and is the top ranking Barre workout app in the AppStore. The workouts are from 5-30 minutes each, so they are easy to fit into your daily life. At home workouts to tone, lengthen and strengthen? Yes Please! Fittbe Warm Ups and Stretching is the perfect way to start your day. You can enjoy a lovely stretch session and ease your body into the day with carefully crafted sessions, set to peaceful music. Warm ups and Stretches always has new added sessions, so your app is an ever expanding catalog!